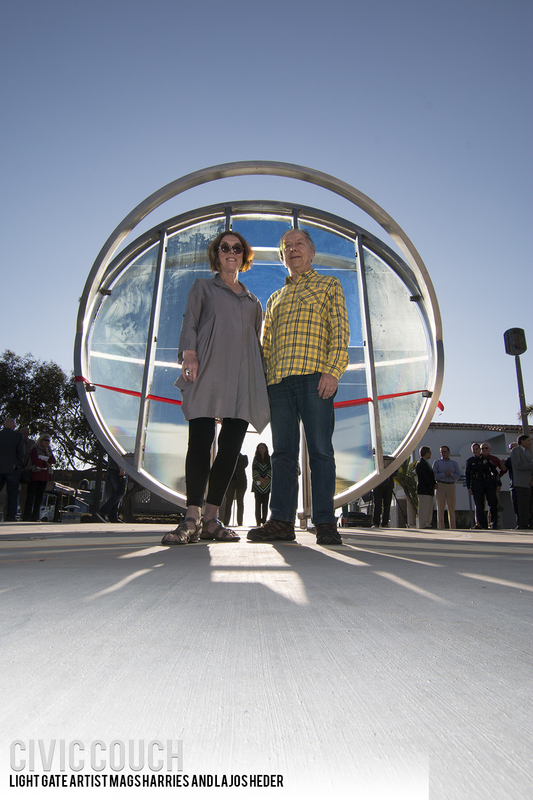 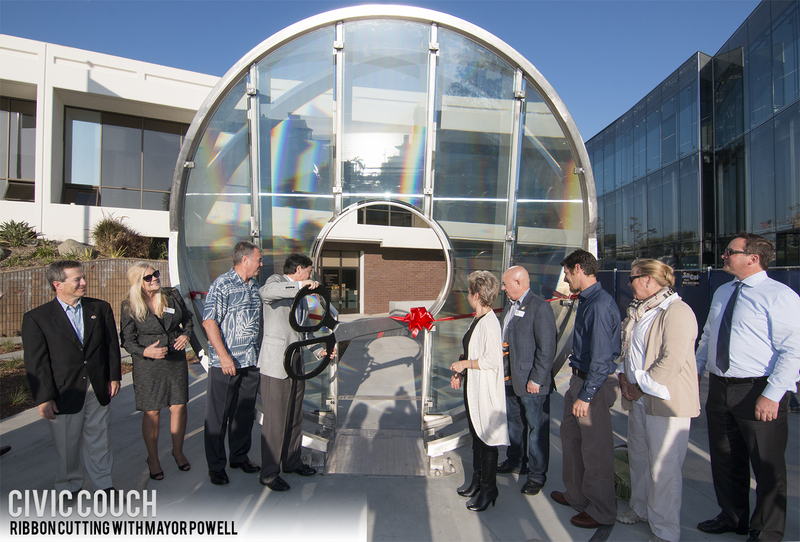 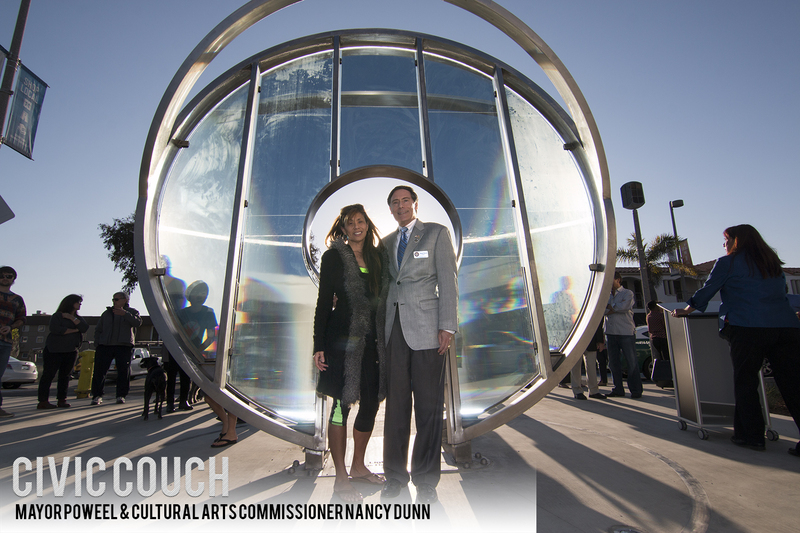 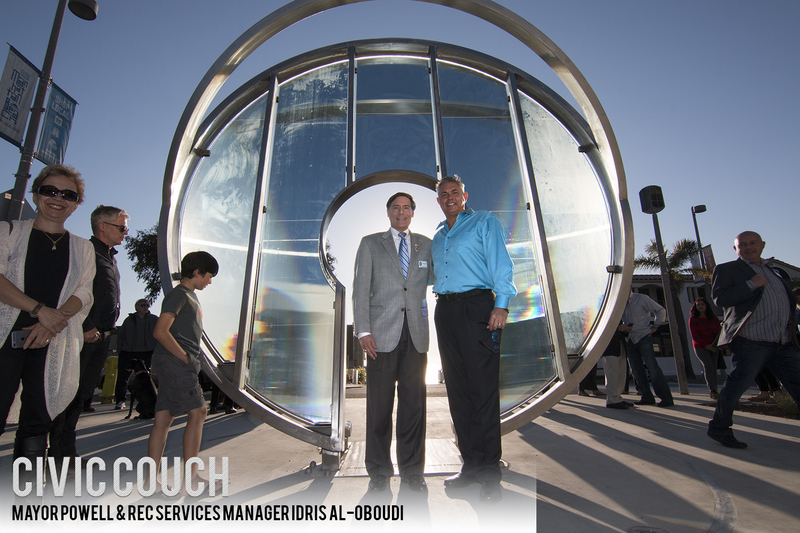 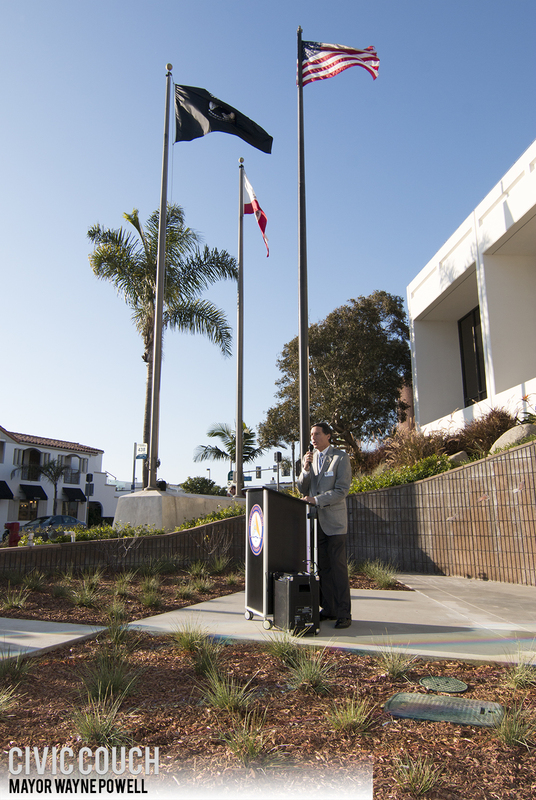 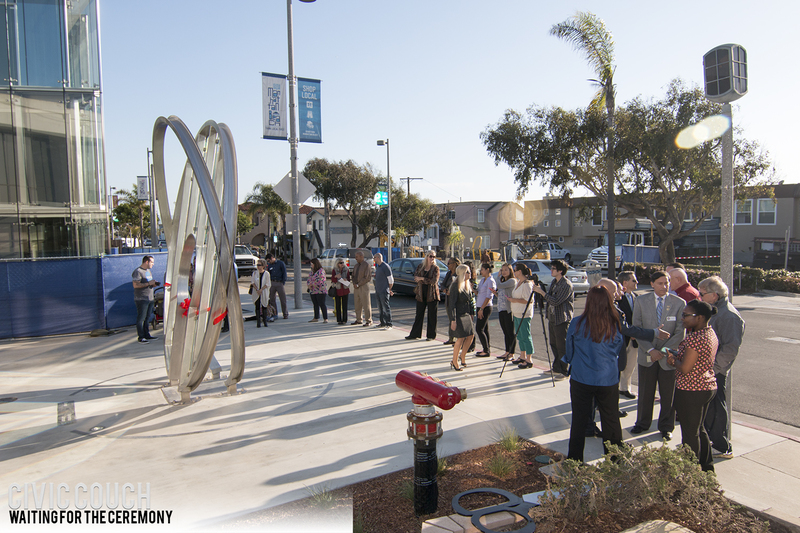 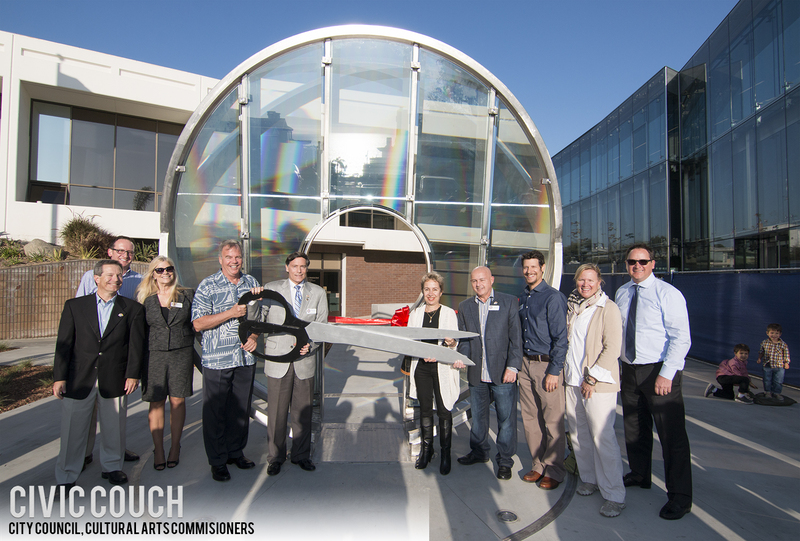 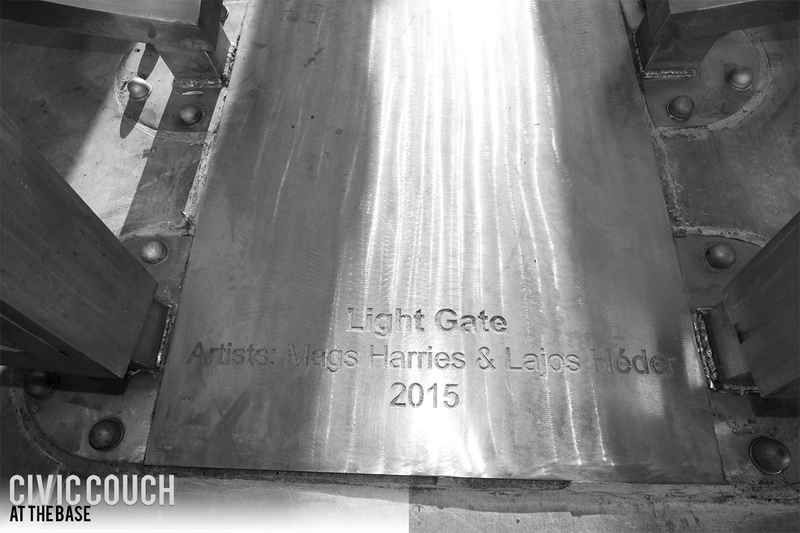 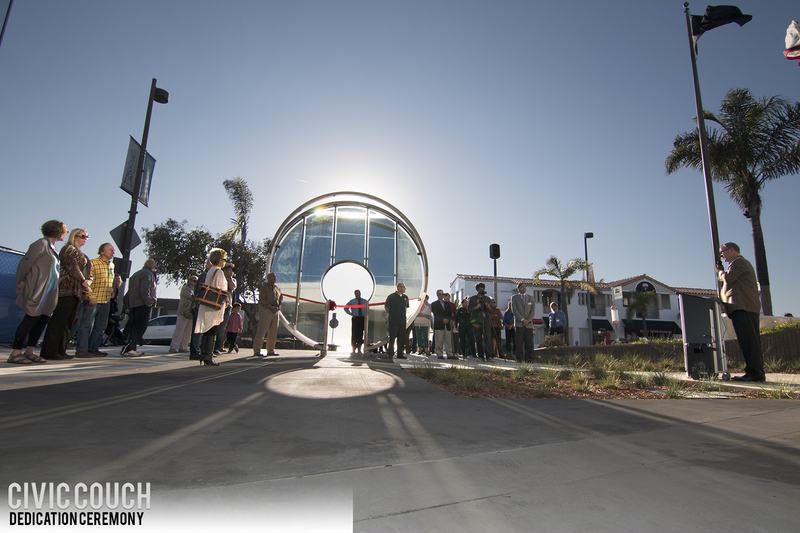 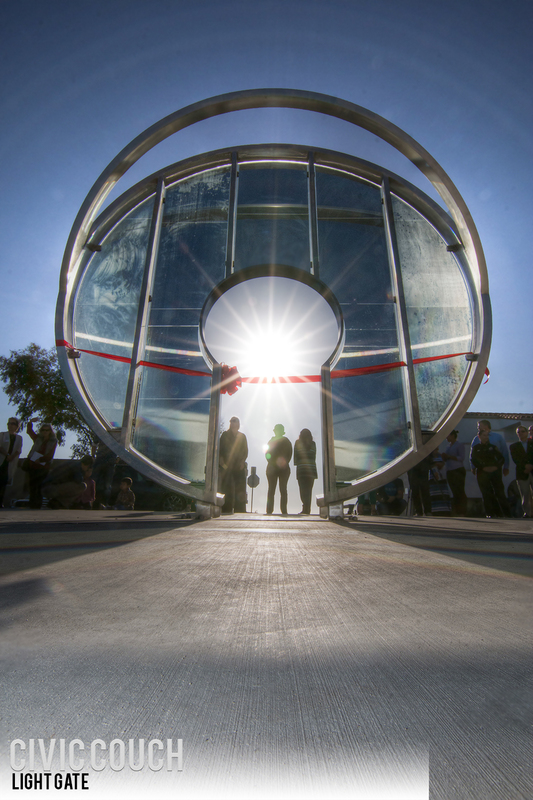 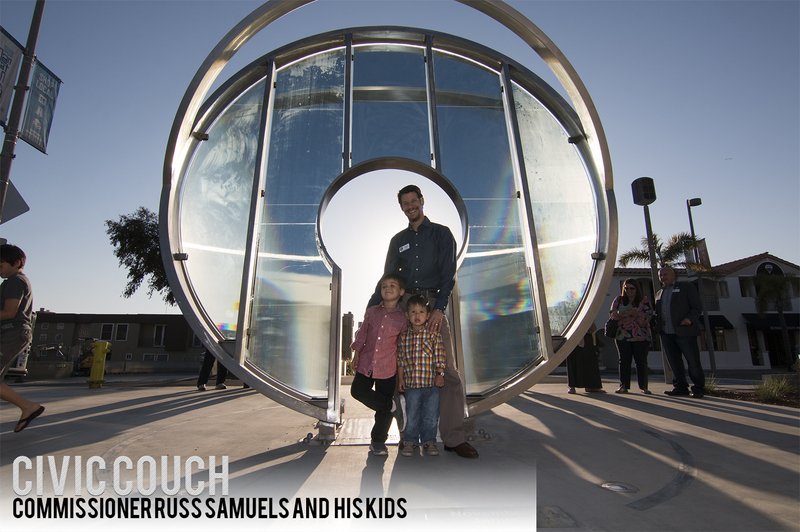 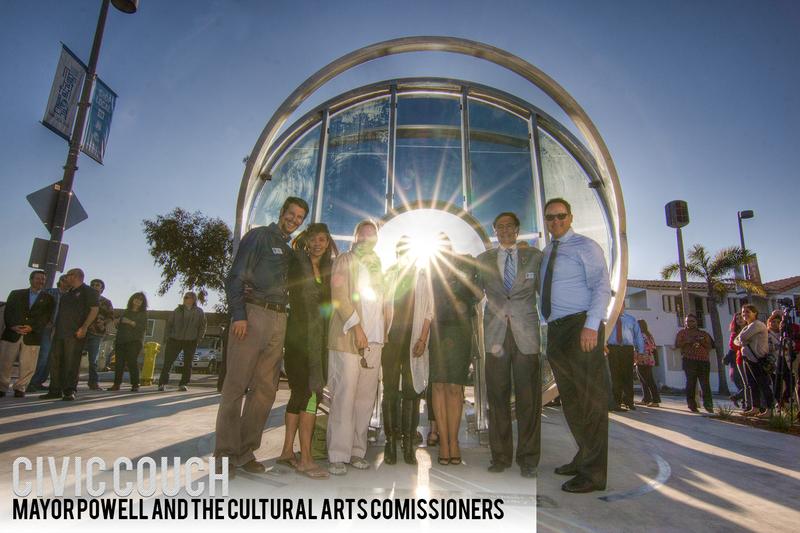 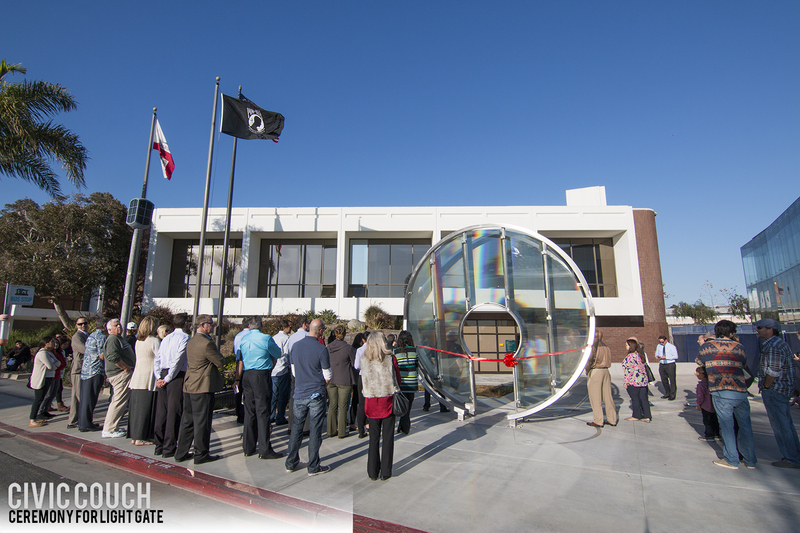 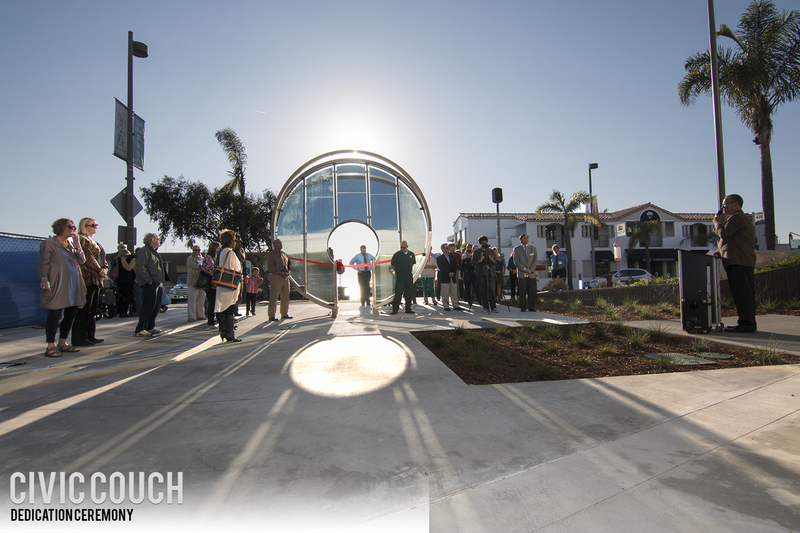 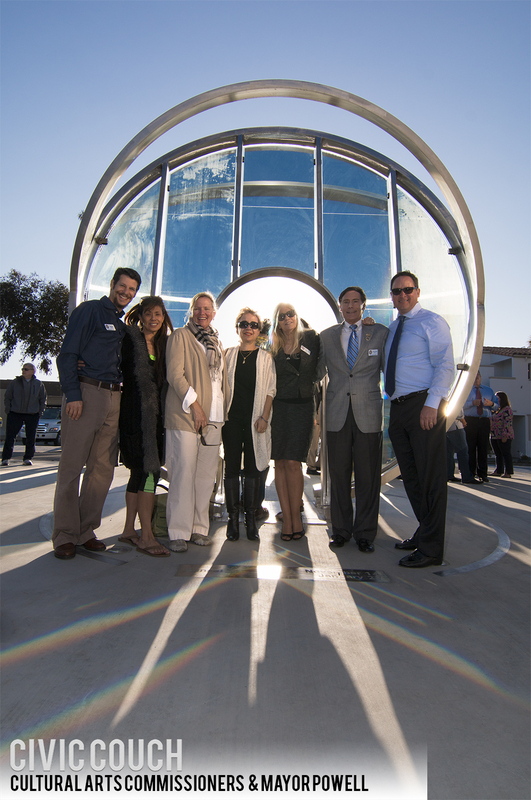 The City of Manhattan Beach held a presentation and dedication of their new art work “Light Gate” on Wednesday February 25th. 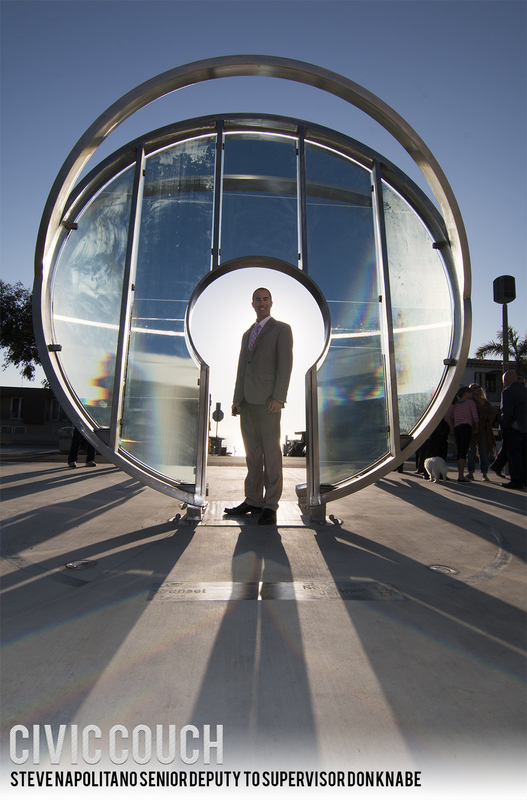 Light Gate is located in front of City Hall on 14th street and Highland Ave. 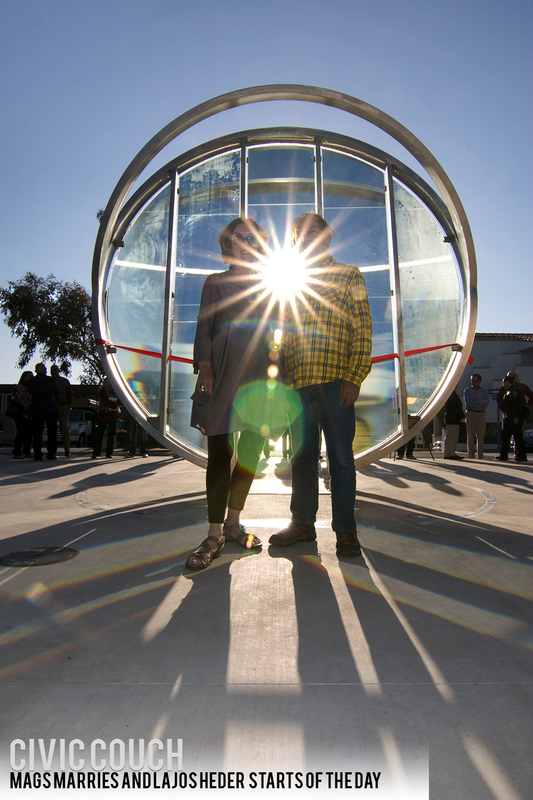 Encouraging participation by those who experience it, this interactive piece is meant to be walked through, touch and used by as a framework to recognized what we so often take for granted- the dramatic horizon and cradle of our civic government. 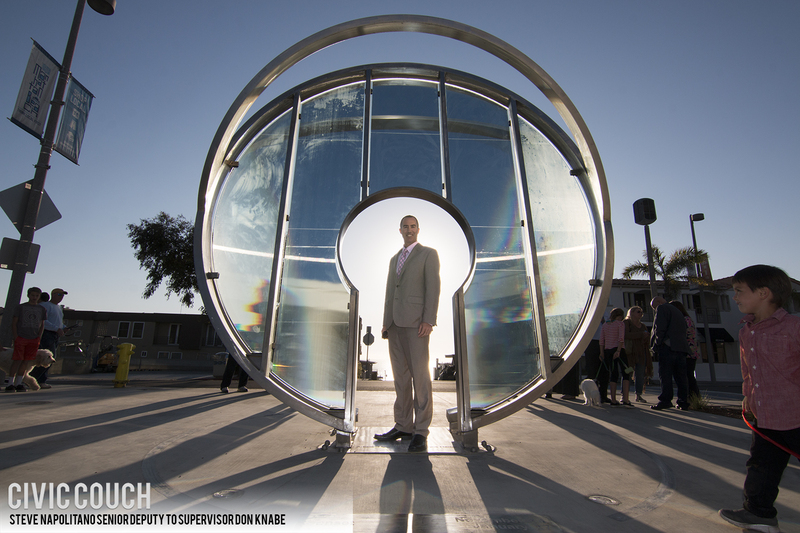 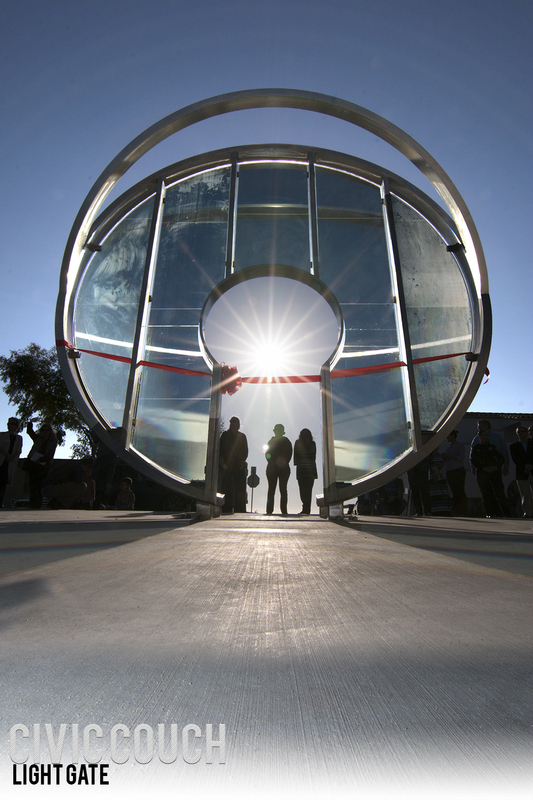 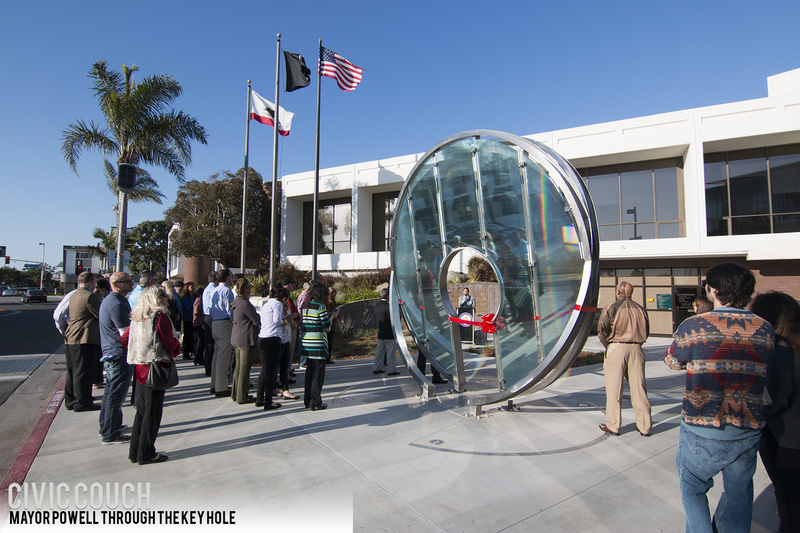 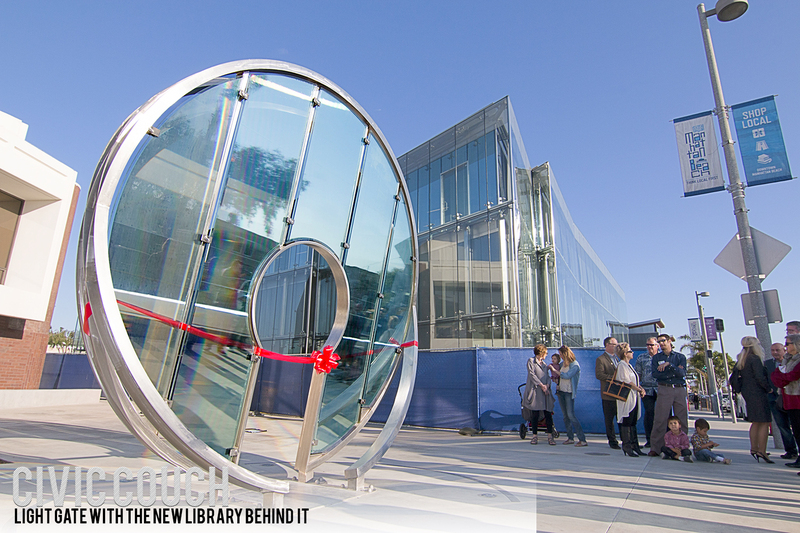 The Light Gate pays homage to our civic center while it concurrently serves as a gateway, oculus and lens to the horizon, where the ocean meets the sky.